Naomie Harris wasn’t at home when she heard the news that Nelson Mandela had passed away. She wasn’t at the gym, on the tube, or even out at dinner with friends. The actress was watching her own portrayal of the South African president’s wife Winnie, at a packed royal gala screening of the new biopic Mandela: Long Walk to Freedom, in London’s Leicester Square, seated just a few places away from Britain’s Prince William and wife Kate. Harris and co-star Idris Elba, who plays the title role, were ushered out midway through the December 5 screening to be told of Mandela’s passing at the age of 95. After a frantic discussion between the film’s stars, producers, and Mandela’s daughters Zindzi and Zenani, it was agreed the screening should continue. "So I went back in," remembers Harris, "and it was so harrowing and so upsetting to watch the movie knowing that he had died. I was sobbing. 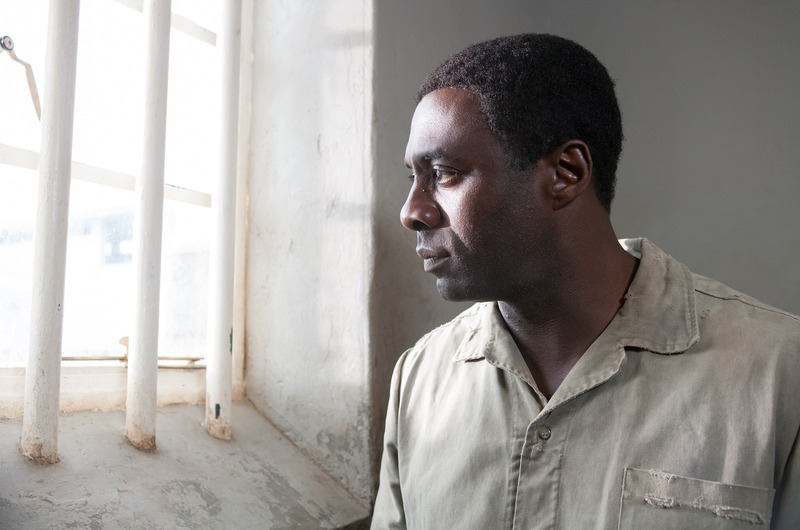 "I’m playing a character that fell in love with Nelson Mandela, and loved him for a long time. You’re not your character but you have to feel all those kind of emotions, do all this research about this person, so you do feel this deep connection with them." The 37-year-old is talking to Time Out just a few days later, following the film’s next black tie premiere at the Dubai International Film Festival. A joyous red carpet gala screening had been planned weeks ahead of the December 10 screening, which fell within hours of a huge public memorial service held at Johannesburg's FNB Stadium. Again, it was decided the show must go on, albeit it a "black carpet" event—press were warned off, cinemagoers were instructed to dress "conservatively," and Harris made a short but moving tribute speech before again slipping silently out of the screening. "I didn’t want to go through that [watching the movie] again," she admits. "But I felt like it was a really fitting way to spend the memorial day. The film is a celebration of his life, of his achievements and of his legacy, so I think it was a perfect way to remember him." Prior to the news of Mandela’s passing the film had been picking up mixed reviews, but one thing the critics could agree on was the performances: both Elba and Harris have been praised almost unanimously. But there was one opinion that meant most to the actress—that of Winnie Mandela herself. Outspoken as ever, the controversial 77-year-old activist publically praised both the movie and Harris’ portrayal in tides following the Johannesburg premiere, declaring it "the first time [she has been] truly captured on screen." "To have the person you’re actually portraying say "Yes, you’ve done a great job, and yes, you’ve managed to capture me," is huge," gushes Harris, who prior to this role was best known for more lightweight roles, starring in last year’s Bond return-to-form Skyfall and two Pirates of the Caribbean movies. "Too often women are written out of history, and here was an opportunity to [examine] a woman who is really vilified generally—particularly in the Western press—and to tell her story, as I think it truly was, to give her a fair hearing." It’s understandable that Harris is diplomatic when talking about Winnie, a charged figure who is invariably described as the "mother of the nation" by her supporters and accused of "gross violations of human rights" by her detractors. Harris confesses she "didn’t know how controversial [Winnie] is," when she took the role, and is careful not to weigh in too heavily in favour or against Mandela’s second wife, with whom the politician was married for 38 years, including the 27 he spent imprisoned on Robben Island. She prefers to talk about the frail old woman she encountered last year when preparing for the role, the aged 76. "She’s not the firebrand that she was, she’s calmed down a lot. Her daughters say that she’s found a lot of peace, but she’s still at heart a political being," says Harris, herself the daughter of a Jamaican scriptwriter mother and Trinidadian father. "I felt that if she were 20 years younger she would be out running for president if she could." Harris is equally enthusiastic about her co-star, and it’s clear from the ten minutes screen time she and Elba share that the pair enjoy a great chemistry. Harris puts this down to the fact they share a birthday, September 6. Despite both growing up in London around the same time—he’s four years older at 41—Elba’s upbringing in East London’s Hackney, where he won an acting grant from the Prince's Trust charity, is rather different from Harris’ route into the profession, via a Cambridge University education (famously as a contemporary of novelist Zadie Smith) and formal training at Laurence Olivier’s Bristol Old Vic Theatre School. Still, Harris’ enthusiasm for her co-star has landed them both in hot water in the past. For some time Elba—previously best known for playing crime lord Stringer Bell in the TV series The Wire—has been touted as the next James Bond, and Harris recently confessed it was her who started the rumour that refuses to perish. "A journalist said to me: "If Daniel Craig wasn’t playing Bond, who would you want?" I said well: I just finished working with Idris Elba, I had a great time, so I would say him... and everyone has just run with it since," explains Harris apologetically. 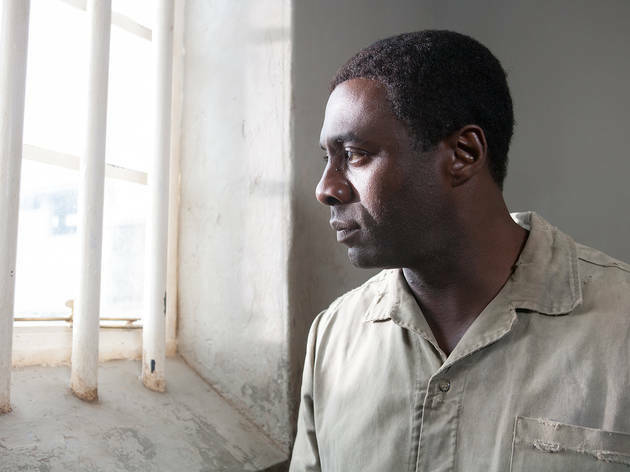 "But the thing is it’s not just me now who has to live with it—it’s also Idris. He’s like: "Naomie, thanks very much for that."" Still, Elba for Bond is not such a bad idea, we venture. "It’s a great idea—but we have a wonderful Bond in Daniel Craig, so..."
Ah Daniel Craig, a man Harris will be seeing rather more of next year, when filming begins for the 24th Bond movie. Pencilled in for a 2015 release, little more has been revealed about the project so far. But one thing that has been confirmed is that Harris will reprise the traditional role of M’s secretary Moneypenny, following from a shock revelation at the close of Skyfall when Bond’s field agent sidekick Eve revealed her surname. So, Miss Moneypenny, what’s it really like when 007 turns on that time-honed charm? "What’s it like when Daniel Craig looks at you that way?" Harris blushes. "Erm... well, he’s a hunk—it’s every woman’s dream, every woman’s dream..."